I can’t believe it’s the last Thursday of the month again, time really flies! 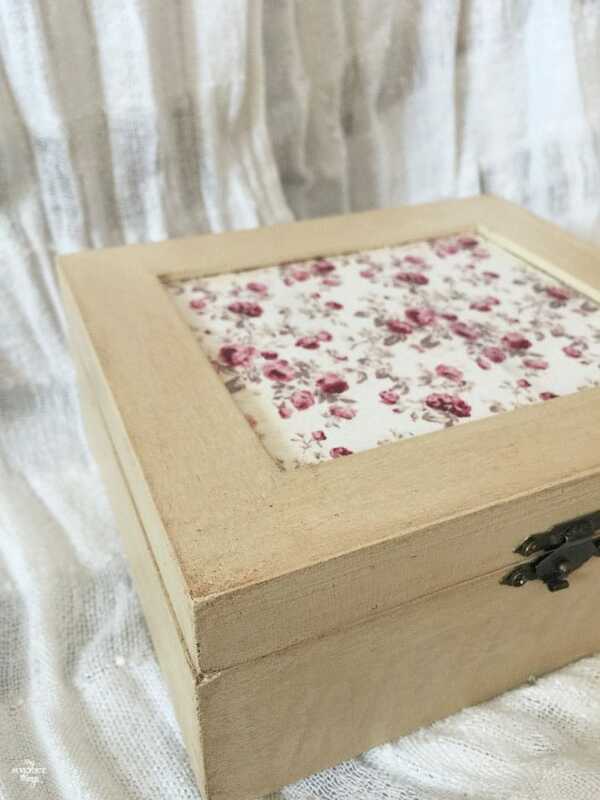 It seems it was last week when I shared my picture frame turned into tray, so welcome again to another Thrift Store Decor Challenge! 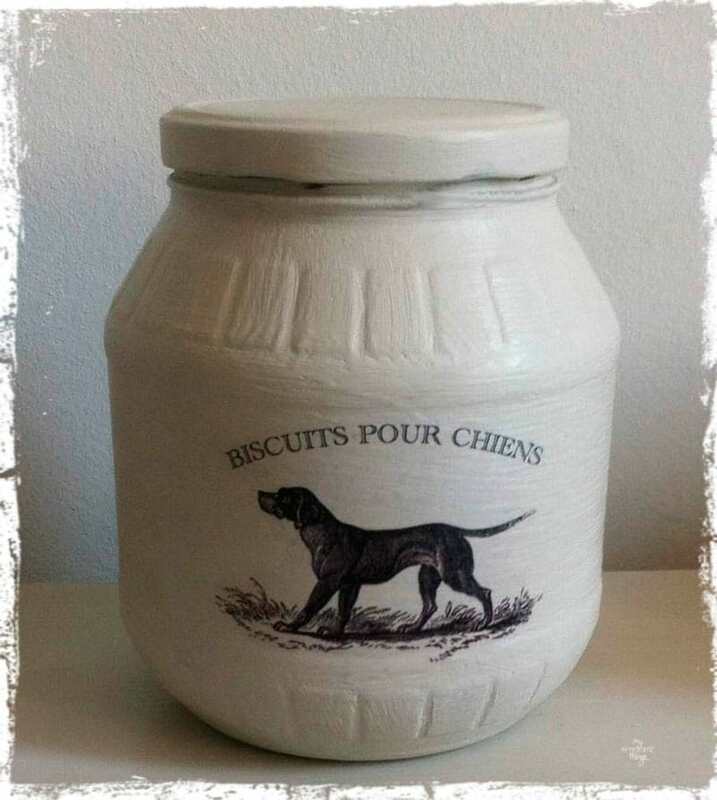 Each month we will create a new home decor piece from an item(s) we’ve found at a thrift store, yard sale, resale shop etc. There is no budget or specific theme so we are free to let our creativity run wild! Some weeks ago I went to my favorite flea market on a hunt for a mirror. 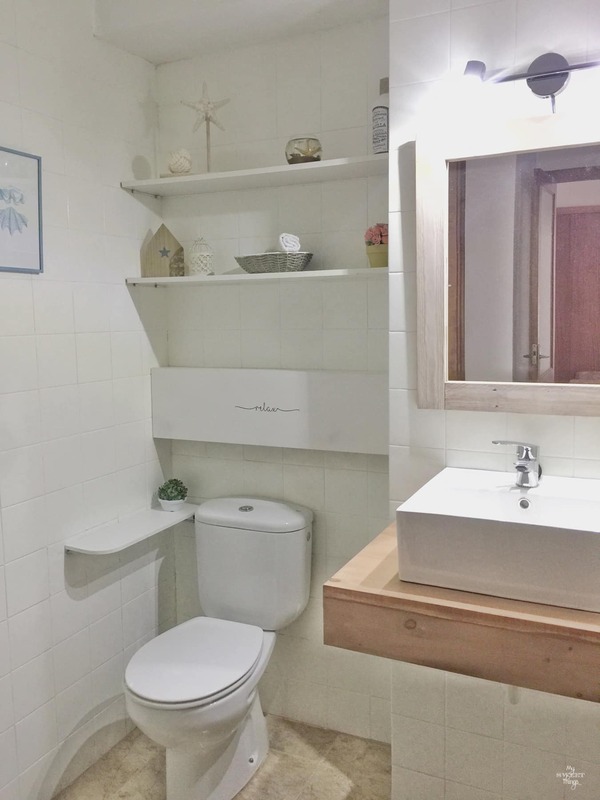 I am updating a little bathroom and I needed something not too big or too small, and I needed it extra cheap so the flea market was the perfect place to go. That day I was especially lucky because not only I found the perfect mirror for that space (I can’t wait to show you the before and after!) but I found two big picture frames which you may probably have seen if you follow my Instagram account, and lots of other lovely goods. I really really love shopping in flea markets as much for the atmosphere as for the fun of bargaining for that special find. 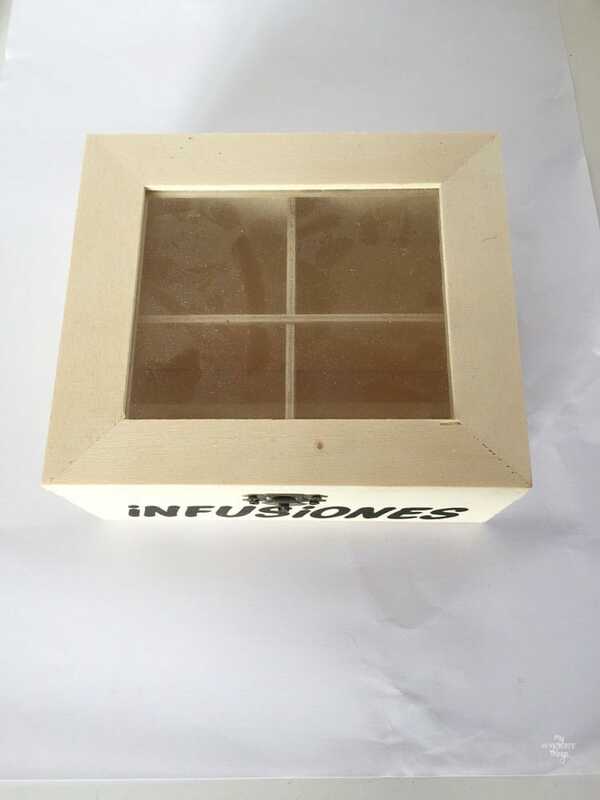 One of the things I found was this wooden tea box… don’t mind the dust. I knew what I wanted for it, so I cleaned it and took all the hinges off. 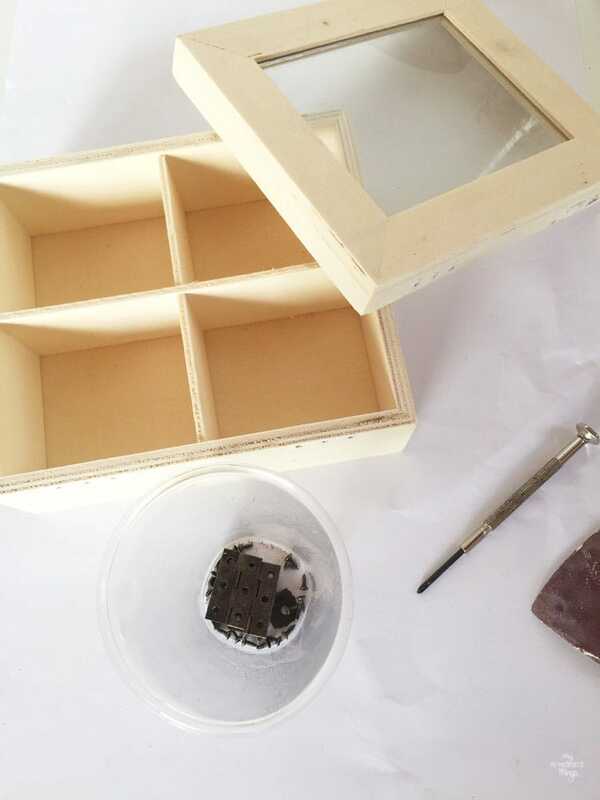 I used a plastic container to keep the hinges and small screws together, this way I feel relaxed even if my daughters come to check what I am doing. You will find some affiliate links for your convenience and you’ll find the full disclosure here. 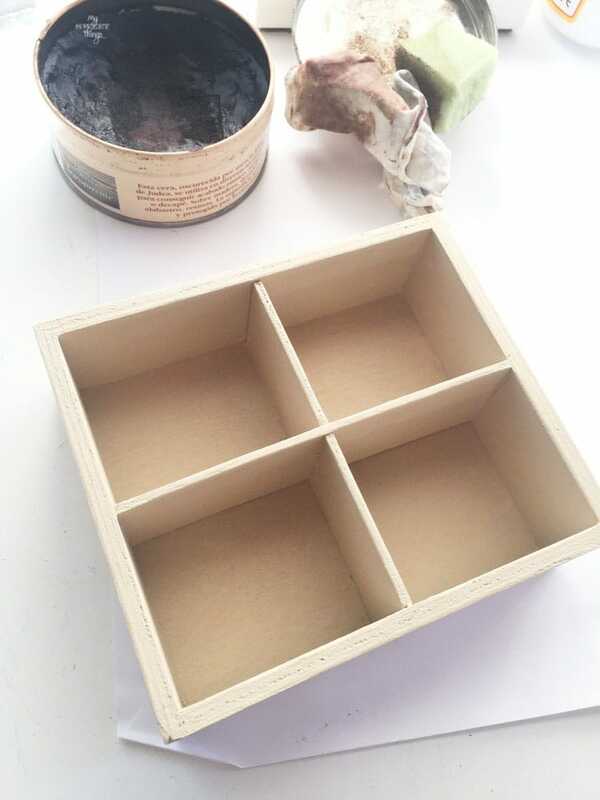 It wasn’t difficult at all to transform this plain wooden tea box into a romantic one. I used some DecoArt paint, the color was Timeless and it’s a beautiful kind of beige. I painted it both inside and outside and let it dry. I applied some ModPodge to the glass and decoupaged a piece of a beautiful paper I had. It’s the same I used for the hanging hearts and you can download it for free in that post. If you don’t have ModPodge you can use a mix of white glue and water. If you’ve never decoupaged anything you will find a useful tip for the paper and air bubbles here. I wanted an aged look for it so I used some clear wax to protect it, and then some dark wax (a similar dark wax here) to give it the look I was looking for. The last thing was adding the hinges and screws back and it was done. Now I have my own romantic wooden tea box!! I am not a fan of coffee but as you can see I’m a big fan of tea. Love how the dark wax gives the piece a worn look. Can you see the black tea? I don’t like it but it’s great to dye wood. Well, black tea and the “Miracle Liquid” are both great for staining! 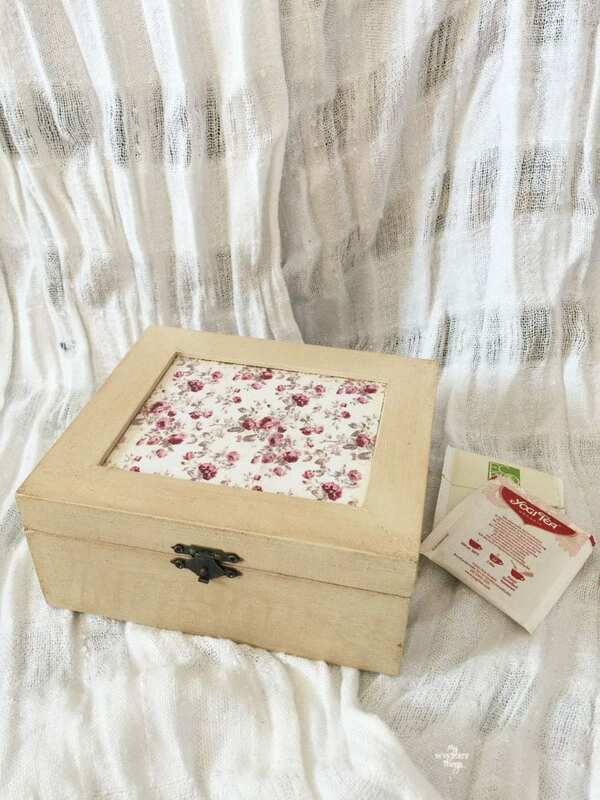 I hope you enjoyed my transformation and like the romantic tea box as much as I do. Remember to Pin It if you like it! 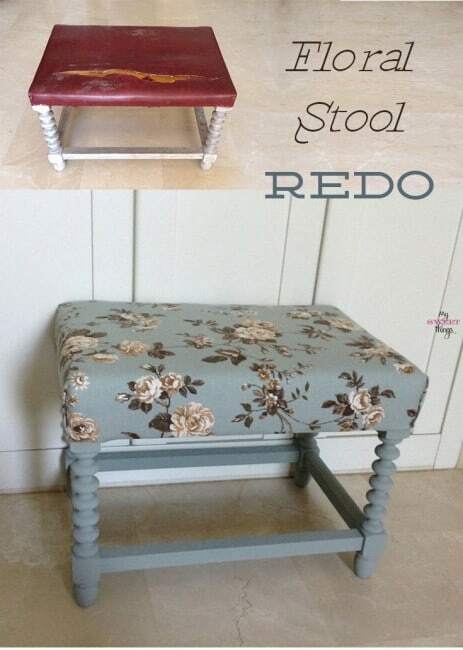 This entry was posted in Before & After and tagged Before & After, Chalk Paint, Decor, Decoupage, DIY, Paint, Vintage. Great idea! I have all my tea bags stuffed into a non-pretty hot chocolate box! Yours is much prettier. Visiting from Thrift Store Challenge. 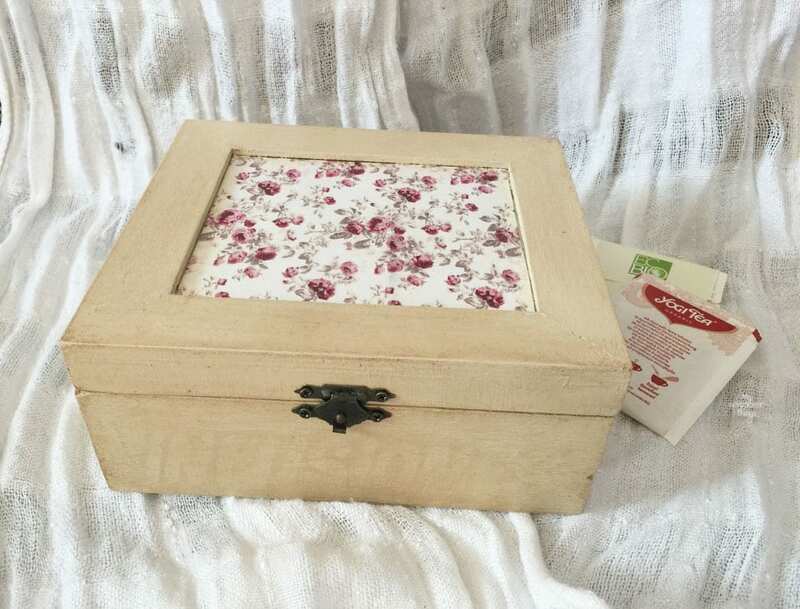 Pili – your tea box is super cute! 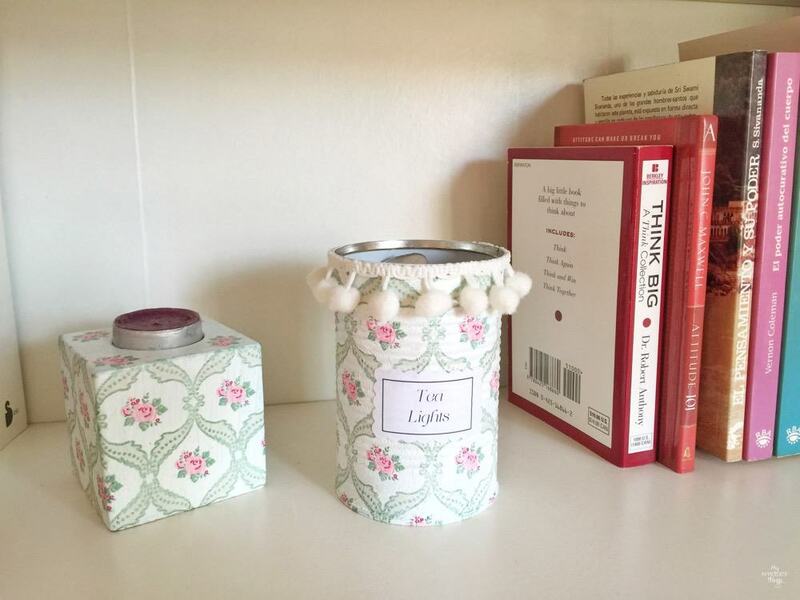 Love the transformation and such a pretty way to store tea! Pili, this is such a beautiful makeover! 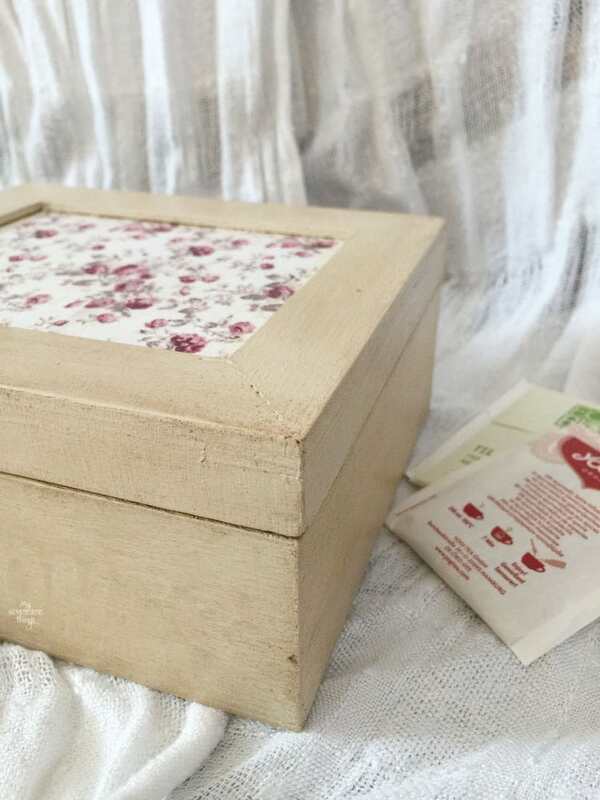 I love tea, and I love how you upcycle this tea box to fit your style. Oh my gosh, that is adorable! I love how it turned out. It’s perfect. Pili this is such a pretty makeover. 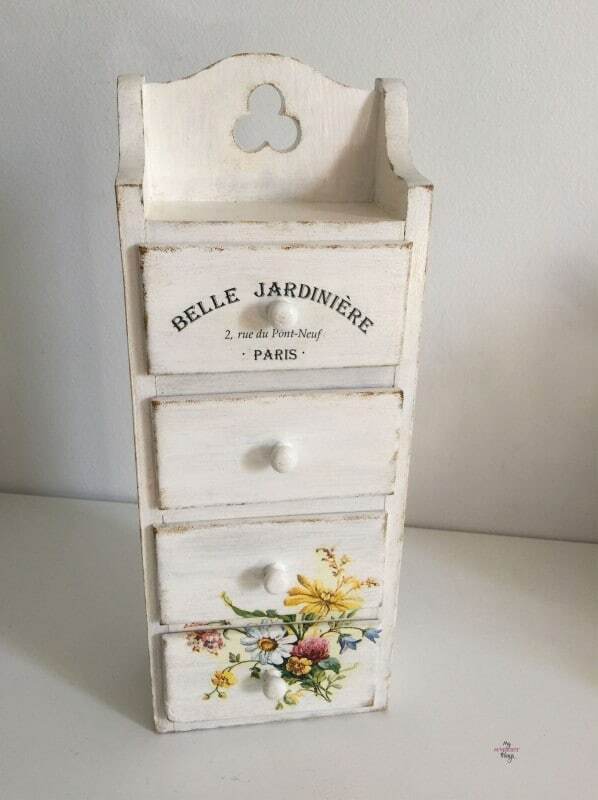 The soft color is beautiful and adding the stain makes it look like a vintage piece. And the pretty romantic paper makes it really special. Now you just need to keep it stocked with tea. Very sweet update Pili! I love the paper you chose. Pili this is so cute and perfect for your teas! It turned out really nice! 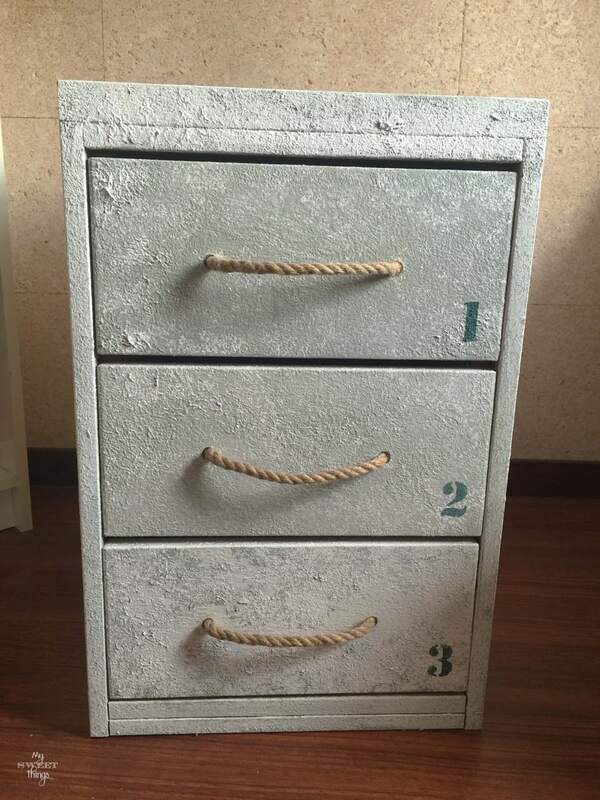 Great upcycle for this cute box. Love it. I love this box. It is so feminine and sweet. What a pretty way to store tea bags. I should have read your post before trying to use paper to decoupage :). I love this and the fabric is a great choice! Sucha cute and simple project — that is also really practical! This really is a beautiful box! It would make such a great gift too! 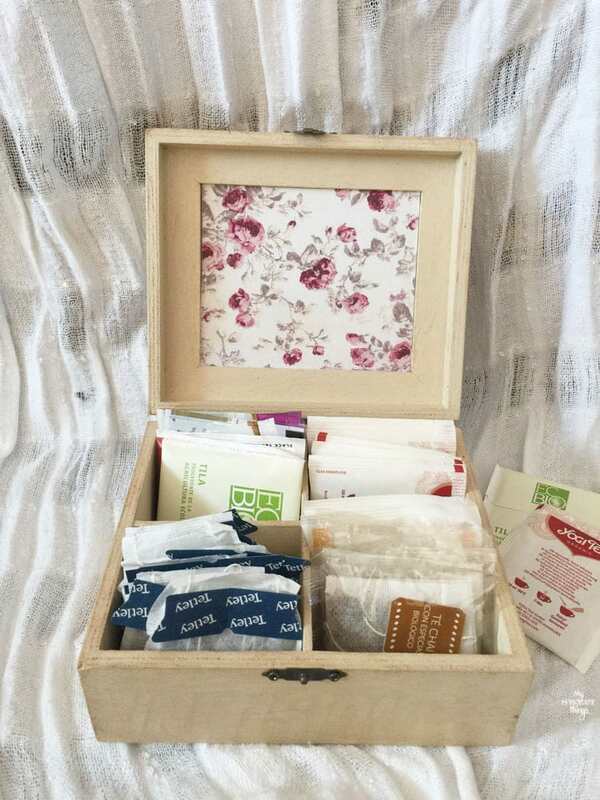 My aunt loves tea and this would make a great DIY gift for her. What a great find! 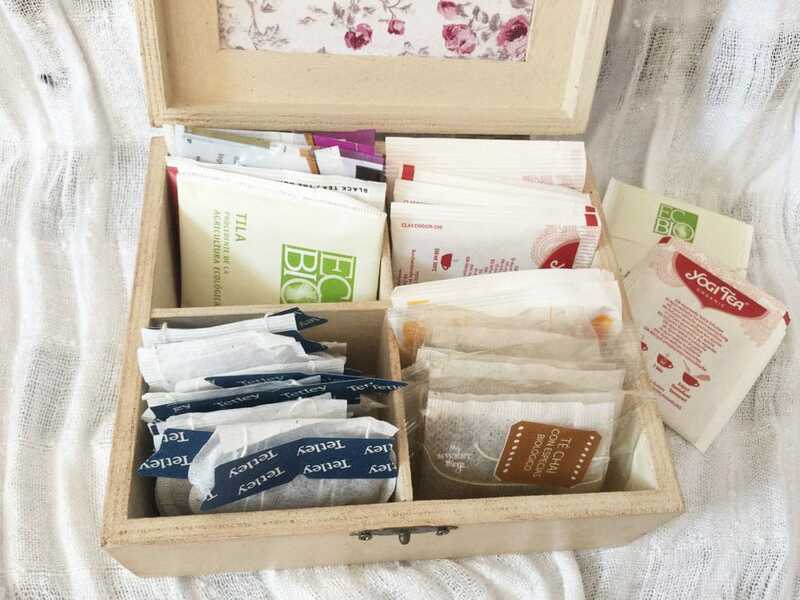 I love tea too and have been looking for the perfect tea box.